Part 2 of how to use the Jaaxy Affiliate Keyword Tool. If you haven’t read part 1 of my Jaaxy training you can find it in my What is the Jaaxy Keyword Tool post. This will show you how to use the Search functions within the tool that covers Keywords, Alphabet Soup, Saved Lists and Search History. It’s all very interesting stuff and shows the power of this tool other than the great feature of finding keywords. So keep on reading if you want to learn about all the great features the Jaaxy Tool has to offer. This page may contain affiliate links meaning I earn a commission if you use those links. I only recommend brands I use and trust. However, by signing up for any of them, there is no additional cost to you. So this function is effectively allowing you to look at your competition, or your maybe thinking about a Niche, so you can check your ideas and see what you might be up against. The key element here is SERP’s (Search Engine Results Pages). You are looking at who is ranking on page 1 of the Search Engines. I can quite quickly see that the highest ranking websites on page 1 of Google are Neil Patel, Ahrefs, Search Engine Journal, Backlinko all of which are big players in the SEO world. You should check them out. I next want to check details of the sites themselves to see if I might be able to compete. The cool part with Jaaxy is that you can view details about these sites and see what you need to compete. Number of Backlinks – How many websites link to this page – if it’s really high you’re going to have a tough time competing. Adsense – Are they paying for Ads. If they are paying for Ads it might be that the keyword is a lucrative one. As you can see, Word Count is great and there are lots of links on site. That wouldn’t be an issue to compete at this level but check out the Backlinks – there are 252,000 websites linking to this one. Your going to have a tough job competing with those types of numbers. Alexa rank is high so it’s a very strong site and there are no paid ads. So as you can see, this offers some good insight into your competition. As you can see, in this case via Commission Junction there are a number of programs available after I inputted the Weight Loss keywords. This is OK, you get the link to the product so you can view it. You can also see the commission involved and you can link directly to Commission Junction. It’s a neat way of finding offers. I do think it’s just as easy to search Google, where if I was to put the search term “Weight Loss + Affiliate Program” I will see a lot of results and not just from the 4 sites listed above. Personally, I think the Jaaxy option is a nice touch for a quick check, but I would always check Google anyway as there are more options to choose from. First of all, you have lists updated daily that show hot and trending topics across Google trends, Alexa Topics, Amazon best-sellers, and Twitter Trends. If you are struggling for a Niche or ideas then it’s possible to add these to your Brainstorm list. For example, if you were interested in finding out more about Cards Against Humanity which is currently the Amazon number 1 best-seller, you can hit the plus sign and add it to your Brainstorming queue. Alternatively, as explained in the Jaaxy help section, you can also go to Amazon yourself and check out the Products (potential Niche). I drilled down further into Sports and Outdoors and looked at Camping and Hiking. I went further still and looked at Bags & Packs as well as Tents. Again, quite big categories. Within those, I drilled down further and found Hiking Backpacks and Pop-up Tents. I have then added these to my Brainstorm queue in Jaaxy. The point I’m trying to make here is that you could go through Amazon and find loads of ideas and add them to Jaaxy. Now I don’t know if any of these are good or not at this point, but that’s the idea, we are just creating a list so we can now do the research in the Jaaxy Keyword search. So we are now back in the Jaaxy Keywords search section. On the right-hand side of the list, I have selected the Brainstorm button that is showing some selections I chose from my Amazon search. You will see Golf Training Equipment, Pop-Up Tents, and Hiking Backpacks. For this example I clicked on the Pop-up Tents link. As you can see, keywords related to the pop-up tent phrase have come up and I can work through them to see if I have any possibilities for a Niche or Post. As you might see, there is OK traffic for the keywords (the list is bigger so there is more traffic), the competition is low in most cases and the SEO score is excellent. I definitely feel that something could be created within probably the camping Niche or more Micro into the Camping Tents Niche. I hope you can see that this is a great section when you are maybe looking for ideas on what to write about next or even if you are searching for a Niche to start your site. It’s very easy to research in this way. What I would say in the first instance with the Site Rank tool is don’t get fixated with it. Too many people stress themselves out about how their posts are performing on the search engines. This is an indication, it shows you how posts are performing. Remember, if your site is new, you may not see results straight away. You also need to be practical about what you are looking at as well. For instance, if I named my post ‘Best Tips for SEO for beginners and people who are just starting out‘ and I type that in as my keyword on the Site Rank Search then obviously I would probably be on page 1 of Google. Why? Because nobody is going to search that length of a question into Google, therefore, it doesn’t have any competition – it also won’t have any traffic so remember that. As you can see, for that phrase I am Position 27 page 3 on Google. However, who do you think is going to type that search term into Google? Very few people is the answer. More likely, the search term might be ‘Simple Sites Big Profits’. As you can see below, I still rank on Google but it’s lower at position 53, Page 6. 1. Site Rank is great to see how your posts are doing. You can even check the competition and see if you might need to tweak anything – keeping posts updated and relevant is good SEO practice anyway. 2. If you make titles with a lot of words or that don’t make sense then, of course, you are likely to rank high on the search engines, but that doesn’t mean a thing if nobody is searching it. I could rank page 1 all day long on my posts, but with no traffic, what’s the point. I hope this made sense, if not, drop me a comment below. We talked earlier about the ability to search for affiliate offers with Jaaxy. One feature that’s even cooler is that you have the ability to use Jaaxy’s own Affiliate Program. 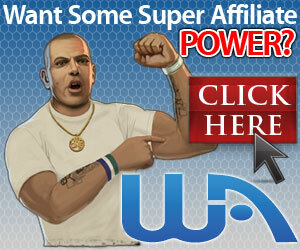 As a member, you get your very own affiliate link which allows you to promote Jaaxy itself. The point of a post like this is that I am offering you content and showing you the great features Jaaxy has to offer. Now at the end of the post I’m going to give you the chance to try Jaaxy yourself for free through my Affiliate Link. There’s no pressure to sign-up, but it’s there for you to test drive so to speak and if you like it and sign-up, then I earn a small commission at no cost to you. This is the last section and it really is a great section that you should check out. There are some great videos where you are taken through what Jaaxy has to offer. There is also the bonus of a list of keywords you could potentially use and a couple of secret and success downloads you can also review. It’s all great stuff. I hope this post was of use to you and gave you an insight into the power of Jaaxy. As I said previously, if you haven’t read Part 1 Of My Training please feel free to check it out HERE. If you want to try Jaaxy for FREE you can click on the link below and have yourself 30 free searches so you can test drive the product and see what you think. You also have the opportunity to join Wealthy Affiliate and as a Premium Member, you get access to the Jaaxy Lite program for free which offers unlimited searches. Don’t forget, Wealthy Affiliate is completely free to join and you can create 2 websites absolutely FREE and you can do Phase 1 of the Training (10 Lessons) absolutely FREE as well. No credit card required so nothing to lose. If you have any questions or feedback please feel free to leave a comment below and I will get back to you within 24 hours. What can i say, Jaaxi is simply a fantastci tool to use and i really would not understand if people would question it. your review is spot on, I have used Jaaxi since the beginning of my internet marketing journey and i truly don’t know how I would have done without it. Hi Barbara, thanks for the great feedback. I have to agree, Jaaxy really is an amazing tool to use. This is an interesting article to read. The topic regarding site rank was helpful because I always wonder how my site rank affects my performance on SEO. I believe that it is important to research very carefully those keywords that have “low traffic” so as to generate traffic and eventually get higher rankings. Looking forward in seeing more posts. Thank very much for shaing! Thanks for the great comments Carmeta. I’m really pleased the post was of use to you and that the Site Rank section added value. Jaaxy is a wonderful keyword research tool that I use in my own online business. I could literally spend hours just having fun on it. So far it has helped with my Google rankings. Your review is spot on and anyone creating their own website without this key tool will be likened to driving a car without horse power. However I have only used the basic keyword search and never knew that it had so many other functions like brainstorm and niche keyword search. Thank you for this review, I am going to use Jaaxy much more to help me create more quality content for my website. Hi Ilaisaane, thanks for the great feedback. I’m glad the post gave you some further ideas on how to use Jaaxy. As you said, it’s a fantastic tool to use.